Even if you already know where you're going with your horse, Mark will quietly help you find new ways to get there. Mark Rashid is one of the leading Horsemen in the world today. Perhaps one of the most talked about clinician in America this year. 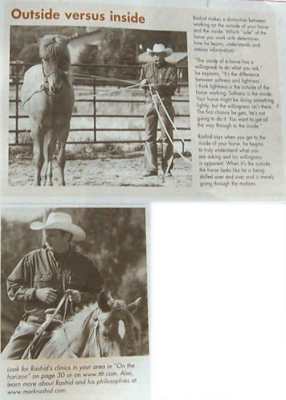 Since the age of 10, Mark has committed himself to finding quiet but effective ways to working with horses. His approach is always based on assessing the situation from the horse's point of view. Mark works with any breed and any discipline, focusing on communication, harmony, and timing; in practical, meaningful ways we can use every day. Written in a casual, story telling style, his books Considering the Horse, A Good Horse Is Never a Bad Color, and Horses Never Lie: The Heart of Passive Leadership, are stories that are funny and instructive. They will introduce you to many new and useful ideas. Not only a quiet, humble, and respectful person and horseman, Mark is also an outstanding and patient teacher. He will only work one-on-one in clinics as he feels this is the best way for people to learn. For this reason clinics are limited to just seven horse and rider combinations, though spectators greatly benefit from his very interactive approach that involves everyone in discussions and activities. Mark does not sell any special equipment and nor does he have a huge marketing and promotion agenda. Mark is not prone to theatrics or "quick fixes" with horses so there is no dust flying at his clinics. Each rider can ride with whatever they would normally use at home as long as the saddlery and any other equipment is well fitting and comfortable for the horse. Most often, students are pleased to see how soft and responsive they become with their horses with a "less is more" approach. 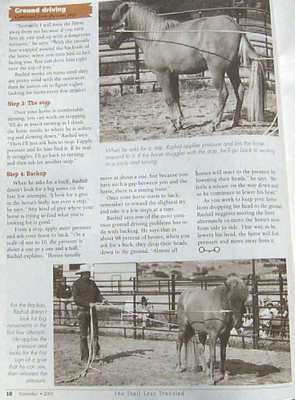 In America and Europe Mark has trained horses of many different breeds, and riders from many different equestrian fields. He has helped Grand Prix dressage riders, eventers, jumpers and endurance riders as well as professional reiners, cutting horses, and cowboys. 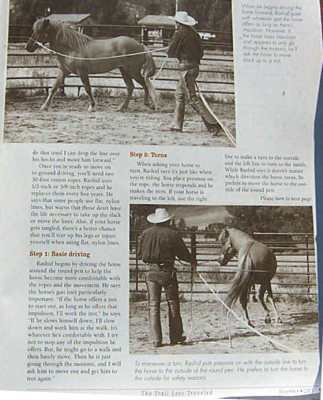 Draft and harness horses are welcome as are stallions, abused horses, or any horse or mule with any behavioral issues. 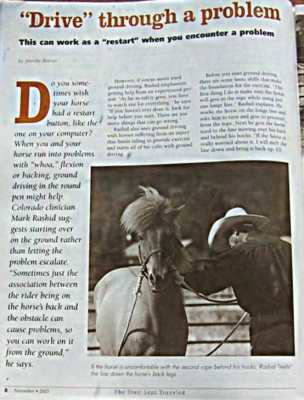 Mark has been a popular contributor to "Western Horseman" and "Western Horse" magazines and he has demonstrated at many major events including Equitana, USA. His clinics are sell-outs worldwide. "A GOOD HORSE IS NEVER A BAD COLOR"